UNITED KINGDOM: Britain prepared to deploy soldiers at key sites today (May 24), having raised its terror threat level to maximum after a suicide bomber massacred 22 people at a pop concert in Manchester. Addressing the nation from her Downing Street office, Prime Minister Theresa May warned late yesterday (May 23) that a new attack “may be imminent” and there was a possibility of “a wider group of individuals linked to this attack”. May said the threat level was being raised from severe to critical on the recommendation of the intelligence services and she was activating a plan for armed military personnel to assist police. 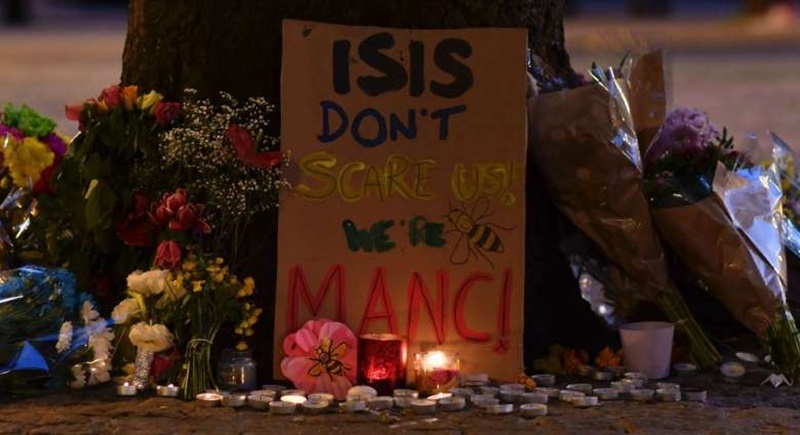 Her dramatic statement came after 22-year-old Salman Abedi, a Briton of Libyan descent, was identified as the perpetrator behind Tuesday morning’s (May 23) deadly attack at a concert by teen idol Ariana Grande. The Islamic State jihadist group claimed responsibility for the carnage, which was condemned by world leaders including US President Donald Trump, who branded people carrying out atrocities “evil losers”. Police said soldiers would initially be on guard duties at fixed points and could also be sent to patrol transport hubs, concerts and sports events. The plan, which has never before been used and is codenamed Operation Temperer, was first revealed after the November 2015 Paris terror attacks and is believed to allow up to 5,000 troops to be deployed. British media said Abedi was born in Manchester, northwest England, and that his Libyan parents had fled the regime of dictator Moamer Kadhafi. Police staged an armed raid on a Manchester address believed to be where Abedi lived, carrying out a controlled explosion to gain entry after arresting a 23-year-old man earlier yesterday as part of the investigation. Britain’s newspaper The Sun carried pictures today of eight-year-old Saffie Rose Roussos, who was killed in the attack, and of Abedi under the words “PURE” and “EVIL” respectively. Tuesday’s attack came just over two weeks before Britain votes in a general election and campaigning was suspended by all the main political parties. It is the latest in a series of deadly incidents across Europe claimed by IS jihadists that have coincided with an offensive on IS redoubts in Syria and Iraq carried out by US, British and other Western forces. The suicide bombing came at the conclusion of Grande’s concert at the 21,000-capacity Manchester Arena, one of Europe’s largest indoor venues. Witnesses described the horror when the bomber blew himself up outside one of the exits as the mostly youthful audience was leaving, with many parents waiting outside to collect their children. “When we left, down the stairs there was probably early teenagers lying on the floor covered in blood and blood on the walls where they’d been laid, so it was just horrifying,” female concert-goer Alex Grayson said. Terrified fans, many of them teenage girls, fled the arena in panic. Grande, a 23-year-old former child television star, described herself as “broken” by the attack. Some 59 people were taken to hospital, many with life-threatening conditions. Twelve of them were aged under 16. Witnesses reported seeing bodies on the floor after the blast around 10:30pm (4:30am Thai time) on Tuesday, and some fans were trampled as panicked crowds tried to flee the venue. “I’m just hearing nothing – her phone’s dead,” Charlotte Campbell, whose 15-year-old daughter Olivia was at the concert, told BBC radio. In the city centre, thousands gathered for a multi-faith vigil outside the Town Hall to remember the victims, with defiant chants of “Manchester! Manchester!” ringing around. Poet Tony Walsh recalled the city’s history in a poem entitled “This Is The Place”, which drew huge cheers as he recounted the gritty attitude that made the city a heartland of industrial and cultural creativity. The attack was the deadliest in Britain since July 7, 2005 when four suicide bombers inspired by Al-Qaeda attacked London’s transport system during rush hour, killing 52 people and wounding 700 more. That attack was also claimed by IS, as was one in March by a knifeman at the gates of the British parliament – although police downplayed that claim. Queen Elizabeth II condemned the Manchester attack as an “act of barbarity” and observed a minute’s silence at a Buckingham Palace garden reception. In a city famed globally for its football teams and pop bands like Oasis, The Stone Roses, The Smiths and Take That, showbusiness stars and teams expressed their horror at the carnage. “Words don’t really do justice for how we all feel. We’re numb," Manchester United’s executive vice-chairman Ed Woodward said, ahead of today’s Europa League final against Amsterdam giants Ajax. The players will wear black armbands for the game in Stockholm and a minute’s silence will be held.